Hi, I'm a new member! Hi all, new member in Norfolk. I recently ticked another of my bucket list wishes buy owning a WRX STI, I've owned WRX's in the past and wanted to eventually own an STI. Here are a few pics, its standard atm but that will probably change. I'm looking forward to shows and meets this year. Thanks for the welcome. Yeah I'll make sure to check them regularly. I'm assuming this club has alot of members that attend meets? Nice car sam, ive also got one of thoughs but in white. Just booked mine in at scoobyclinic for some mapping. What mods you thinking of doing? Is that for me or Sam? There’s a lot of members on the club, and a fair few active members. I’ve only been to 2 shows with the club a couple of years ago (Japshow and Japshow Finale) but the turnout to both was good! I think he meant it for you. 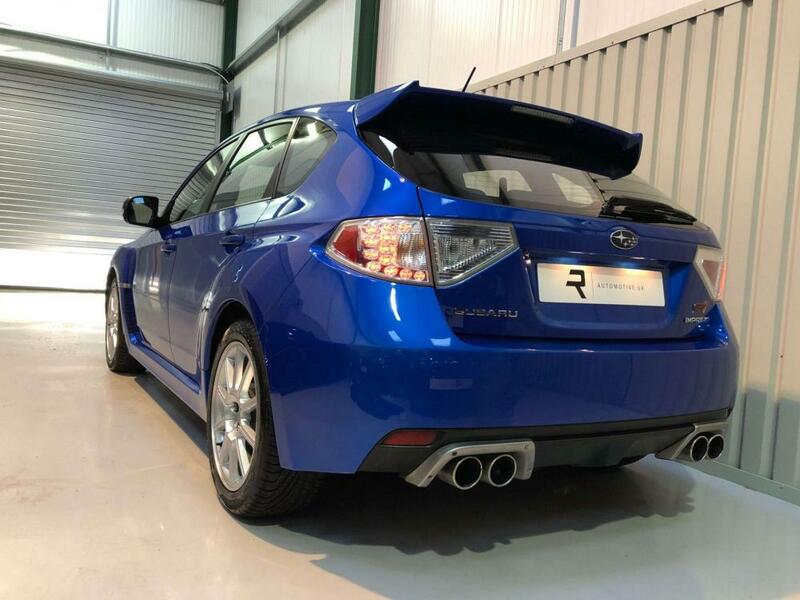 He’s also got an STI hatch. Thanks Tidgy and Ross, she's only got 48k on the clock aswell which is one of the reasons why I had to buy! I know exactly what you mean Ross, I wasn't overly keen but love it now. Tony with you mapping yours have you had the engine strengthened at all? So far I've fitted a Cosworth panel filter and the GFB Respons DV. It has a Miltek cat back system already on it but its the Res version and is blowing so I'm having it all sorted next week with the Res box being replaced with 3" pipe. No not had it strengthend. Scoobyclinic told me would be ok for 340hp. 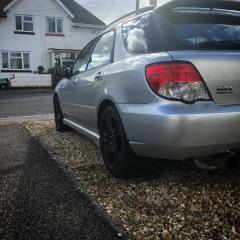 Just got HSD coilovers, japspeed decat, invidia n1 cat back, injen cold air, baileys dv and scoobyclinic are fitting a perrin 3 port before mapping. they said anything over that will need new pistons which is a shame was hoping to do a bigger turbo one day and fmic, carnt really afford an engine build. I guess the 2.5ltr arent as strong as the 2.0ltr. Still 340hp is still quick for awd. 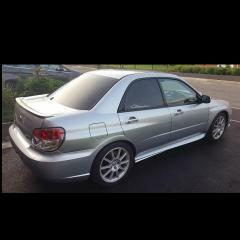 I used to have a blobeye that was 340hp and that was quick. Tony, I guess it depends on who you talk to as before I bought mine I did alot of ringing around chatting to specialists about the EJ25 engine. Some said its fine and don't worry, others said anything above standard bhp would need the engine doing beforehand as under "full chat" the gaskets would give in. 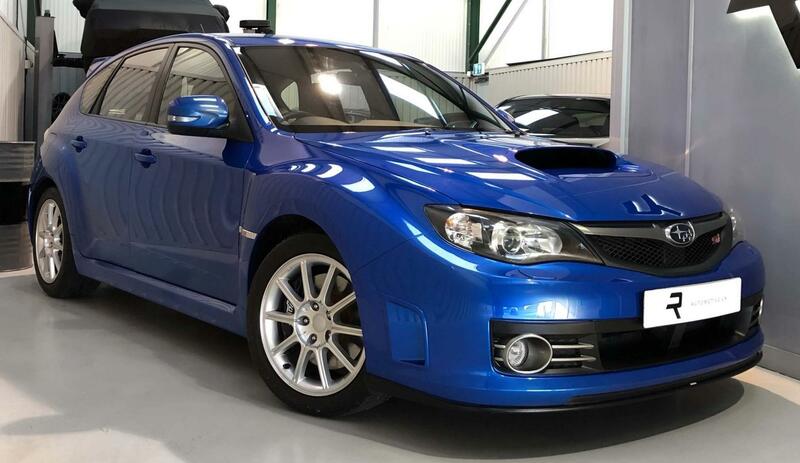 Mine has had alot of work done to it by the previous owner including having the engine out and new gaskets, seals fitted but the new parts were only standard Subaru parts and not uprated parts so I'm still abit weary about having a map although I'd love to have 330 - 340bhp. Ryan.c, this is scoobyclinic that are telling me these things so i quess they no what there talking about. Yeah I definitely agree with you there. They are experts so I'd trust their knowledge. When are you having it done? Can you please keep me updated on the results as I'm half tempted now haha. 2.5 tuned right won't increase the risk if failure up to mid 300's. They have a high failure rate even left alone. Beyond that your pushing the limit, sti's don't have proper forged pistons any more, the rods won't take much more than 400 so 350 your Into forging territory.